Dynamic and flexible communication solutions with scalability for today’s growing business needs. CallTower Native Skype for Business consolidates business communications tools into a single, easy-to-use application. Skype for Business desktop and mobile conferencing solutions streamline interactions with employees and customers across the globe! 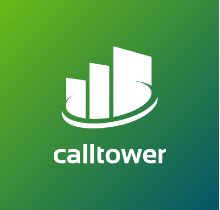 CallTower brings the future of any time, anywhere communications to your business. Do you want to stay productive wherever you go? Do you want to work faster and find exciting new ways to communicate, build deeper insights, and share information using your favorite devices? Do you want your business tools that work as hard as you do? 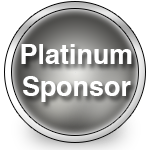 As a Microsoft Gold Partner, we can turn the world’s most universal software package into a complete hosted phone system for your business — Now that’s ground-breaking! Skype for Business improves business communication and collaboration by streamlining interactions with employees and customers across the globe! Adding CallTower Complete telephone and conferencing capabilities to your Office 365 license enables your business to boost productivity and save valuable money. This communications platform behaves just like business class telephone systems that organizations have come to rely upon for day-to-day operations + it is enhanced with mobility apps, voicemail options, security, storage, collaboration and conferencing plans and much, much more. Providing a feature-rich solution with industry-leading devices CallTower’s Skype for Business solution provides a feature-rich solution to fit your business needs along with a wide range of Polycom and other Microsoft integrated devices. Native Skype for Business Web-Based Contact Center adds a powerful set of capabilities to help manage IM’s, calls, web chat and email for internal groups or traditional customer/user communications. Delivers the best ever audio experience from the huddle room to the boardroom Polycom Real Presence Trio makes every conversation, every spoken word just that much clearer. Not only does RealPresence Trio break through the sound barrier by providing the most amazing sound quality, but it also redefines the category by serving as the smart hub for your group collaboration and bringing easy-to-use, no-compromise visual collaboration to spaces that were previously cost prohibitive.